Do you need a last Minute Wedding in East Sussex (Late Availability)? Then we can help you. Saltcote Place is an intimate family home. Consequently, we understand that sometimes you just cannot wait. We have an enviable reputation for being responsive when it matters the most. We will happily work with any hospice that you need. The Marriage Act 1949/Civil Partnership Act 2004 state that once notice has been given by a couple, a period of 28 days must expire before the marriage/civil partnership can be permitted to proceed. There is a provision in the Acts for the 28 days to be reduced in exceptional circumstances, this is called a wavier. A waiver can be applied for at the time of giving notice or at anytime during the 28 day waiting period. There is a consideration fee payable to the registration service when applying for a waiver on top of the usual notice fee. The fee is non refundable and does not guarantee the waiver will be successful. No two weddings here are ever the same. Therefore, We do not offer ‘packages’. We understand your plans asap. Hence work with you to develop an entirely bespoke arrangement. Certainly, we ensure that we tailor it around you. Most noteworthy, we never run weddings back to back. Give us a call – We will never do back to back Weddings. As a result, we require at least 5 days between celebrations. This is to ensure that all staffs are at their best. Hence, we can deliver the most amazing Celebration for you. Certainly you will be glad. Children are welcome and your Guests will enjoy themselves. Facilities for disables are in place although a quick call before attendance could also make the visit more comfortable. View the elevated setting and secluded grounds, you will notice we are a very short walk into town and that we offer plenty of parking from where the video starts. The extensive lawns and formal gardens offer intimate space for your wedding pictures and more than one Bride has been invited back a few days afterward to retake a few magical pictures. You are welcome to pop along with your photographer in advance of your celebration to plan how some of your memories will be captured. 12 to 14 of your Guests can stay at Saltcote. Within a few minutes walk, we have enough accommodation for another 100. With midweek Celebrations there is no requirement to use our lovely accommodation. The Rye Bay area is always a popular place to stay, at the weekend’s good accommodation can be at a premium. We strongly suggest you make your plans well in advance to allow your guests adequate time to make their arrangements. We will be pleased to help where needed. Often a midweek Wedding will reduce your costs and make it easier for guests to find suitable accommodation. If you are having pre-wedding meals the local restaurants will be more able to offer you exclusive use. We can help you arrange transport to return your guests to their respective accommodation as the Celebration winds down and vehicles can be left here overnight if needed. The day after your Celebration it may be an idea not to rush off but to have a BBQ or tea party in your Marquee? It’s a magical way to share memories in a relaxed way before heading off on your new life together. Wedding packages are offered by hotels and Wedding factories. We prefer the joy of assisting you to develop your dreams. Hence, providing support where needed. And ideas if you want them. Certainly at Saltcote, you are not restricted to “packages”. We probably have the best catering and events team in place. They will work within your budget to develop the bespoke celebration you dream of. Prices start from only £57 per person. This includes unlimited evening drinks from the bar. We think you may enjoy looking at the brochure below for ideas – remember it’s your day and your idea’s that count. Let us know about your plans and aspirations. Tell us why you are excited. And when you will like to hold your Celebration. The number of guests will influence the location of the Celebration – as could the time of year. Please call us to arrange a time. This is because we cannot see people who arrive without an appointment. After your details, we will give you an indication of costs. Along with a view to showing you around. Furthermore, we will thank everyone for not driving on the grass. Unless it is in a clearly free area. With signs expressly making it clear to do so. Those who see us will notice the extensive use of CCTV. Also, ANPR is in constant use to ensure our events remain exclusive. We would love to show you around our home, please get in touch to arrange a viewing, we are unable to see anyone without an appointment. Saltcote Place is about 8 minutes’ walk from the bustle of Rye High street. Even more, it is set in secure elevated private grounds. Overlooking Rye and Romney Marshes. We offer exclusive use. This is because we never do “back to back” weddings. Plenty of parking and excellent picture opportunities. Above all, your guests are as important to us as they are to you. We are happy with a diverse guest list. And nothing will faze our catering team. We will consider Asian caterers who meet our criteria. 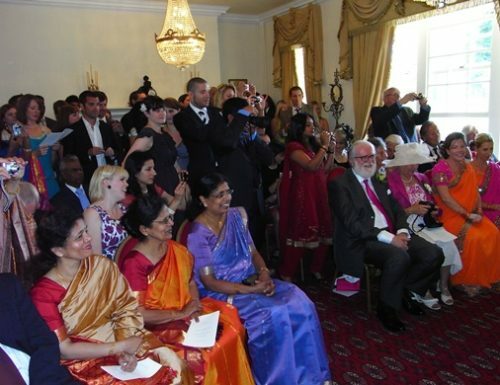 Looking for Asian Wedding venue in East Sussex? Choose one of our elegant dining rooms. Or a fantastic marquee. Either way, our catering team are beyond reproach. In addition, they experienced and capable. Therefore, they will perfect every detail as you instruct. 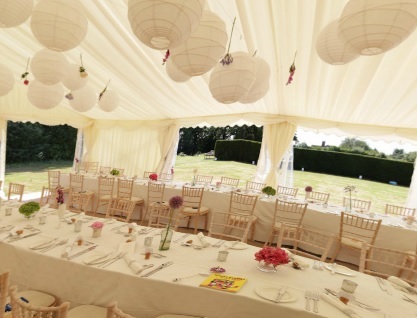 With or without a Marquee Saltcote will make your celebration perfect. Right from our first call to Paul and Alan in January my husband and I knew we had found a great location to get married. Paul and Alan really are wonderful - they took time to get to know us and made sure that the wedding we had was unique to us and truly special. We simply couldn’t have done it without all their help and support, good humour and flawless efficiency. They were so welcoming to all our guests and charmed everyone, from our young flower girls right up to my lovely elderly Ghanaian Grandma! Alan’s dance moves on the wedding night are now legendary amongst our family and friends! (The dance off was incredible to watch!) All in, Saltcote Place is a wonderful place and Paul and Alan are fabulous friends. We have just had the most amazing weekend ever! Having attended the Rye International Jazz and Blues Festival last year, we wanted to return this year to celebrate our wedding anniversary. As it was a 'special' anniversary, we decided to do it in style and so we booked a two-night stay at Saltcote Place. And what a place!!! From the moment we drove through the electric wrought iron gates, to be greeted by Paul in the wonderful gravel driveway, we knew we were somewhere special. The owners, Paul and Alan, have restored this beautiful house (and its grounds) into the stunning place it is today. The views from the terrace are outstanding. Inside, the house is immaculate. 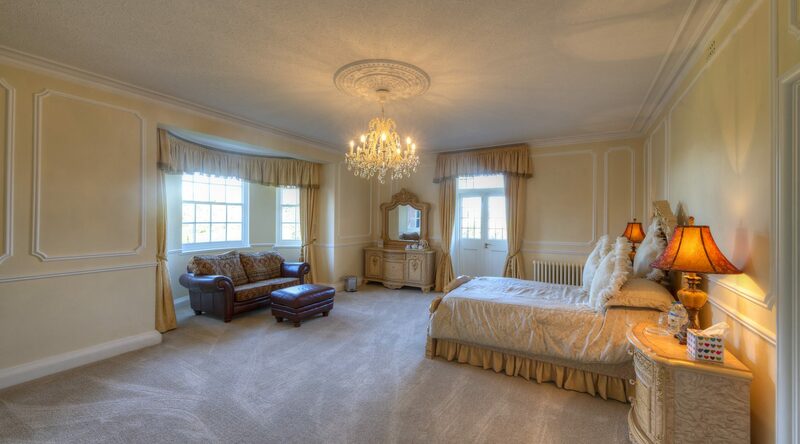 Each suite has been individually designed and the attention to detail really is second to none. Our room was spotlessly clean and perfect in every detail - a large, wonderfully comfortable bed, a vase of roses, fresh fruit beautifully arranged on a little stand, a dish of luxury chocolates and even a night-cap of our choice, waiting for us in our room after our evenings out in the town. The town centre is just a short walk away, with its beautiful cobbled streets, ancient buildings, tea shops, many restaurants and bustling quay. A lovely place to visit at any time but during the Festival weekend the whole place really comes alive. Many venues are used to host the numerous acts - from well-established artists to extremely talented, young, up-and-coming performers. We can't thank Paul and Alan enough for looking after us and helping to make our anniversary so special. They are both absolutely lovely - so friendly, helpful and accommodating. From the welcoming glass of wine on arrival, the delicious champagne breakfasts (the breakfast table has to be seen to be believed!) to the lovely bag of chocolates for our journey home. We just felt so pampered and special. We arrived thinking we were staying in a luxury B&B. We left feeling like we'd spent the weekend with friends. I doubt there's many places you can say that about. Just wonderful! Alan and Paul helped our friends have an amazing wedding here. They were so welcoming and friendly and really put on a good event. The house and grounds are beautiful with great views over Rye. Perfect location for a wedding with the pub and Church both within a few minutes walk. My wife and I have just returned from a nights stay for our second wedding anniversary and all i can really say is that Saltcote Place is perfect! On arrival, we were greeted by Alan who made us feel very comfortable and provided us with a glass of champagne whilst he explained all the things we could do in Rye, We were then taken to our room which was beautiful. Coffee and Tea facilities in the room, an amazingly comfortable bed and a double shower in the bathroom. Saltcote is approximately 10 minutes walk from the town and an easy walk down the hill. My highlight of our stay had to be the breakfast. You arrange a time for breakfast the next morning when you check in and Alan and Paul make a real effort. We were first given fruit bowls with orange juice, coffee and a large glass of champagne which kept my wife very happy! This was followed by a delicious full english. All guests sit together at breakfast with both Alan and Paul in their stunning kitchen which was really nice. Overall, we will definitely be returning to Saltcote Place and we are very much looking forward to our second stay! I would like to thank Paul and Alan at Saltcote Place for helping to make the wedding of my daughter so perfect. We stayed all weekend and we had a wonderful time. Saltcote was a fantastic venue – the grounds were incredible, the views were stunning and the house was unbelievable. Paul and Alan were the perfect hosts, ensuring that everyone was happy for the whole weekend and that the wedding ran without a hitch. They took great care of my 95 year old father, who was finding the whole event quite daunting. They even set an extra place for an unexpected guest at the reception meal at very short notice. What a weekend it was! I thoroughly recommend Saltcote Place for the wedding of your dreams. We stayed at the saltcote last weekend for the second time and couldn't wish for a better place to spend our 20th anniversary. Paul and Alan are first class hosts , the Saltcote is a bueatiful property with amazing views not to be missed. Their attention to detail makes it honestly the best place we have ever stayed, the added details makes the whole experience pure luxury . I hope to be back there soon maybe to renew our wedding vows. Immediately greeted with a warm welcome complete with a hug by hosts Alan and Paul. Owners subscribe to the "nothing-too-much trouble" school of British hospitality. Rooms are trimmed with antiques for a classy ambience. English breakfast is a shared social occasion around the kitchen table complete with champagne and laughs. Perfectly located with a superb view of Rye and surrounding areas. Kings Head Inn a short stroll away and worth visiting for good food and cask ale. The medieval port town of Rye will take you back in time with its cobbled streets,heritage buildings,tea shops, and alleyways. Mindful it is a short walk into town but there is a uphill stroll to return. Well worth the walk. We were most impressed with the effort and style Alan and Paul put into making a long awaited wedding day a memorable one for the brides and guests. Alan and Paul truly enjoy meeting new people and make guests feel right at home, to include sharing a glass of wine in the evening, interacting with guests. They have truly earned a 5 star rating. My husband Robert said that it took him some hours to decide on the accommodation that he wanted us to stay to celebrate our 7th wedding aniversary as he wanted to make it very special for me. I can assure you that I was completely lost for words when I saw Saltcote Place in Rye. The peacefulness of the surroundings, the welcoming, the immacutely decorated rooms with Royal touch, the outstanding breakfast provided and most of all the Warmnest of Paul and Alan who runs the retreat is exceptional. Saltcote Place is a very special place and I would encourage everyone to go and experience it for themselves - I assure you they would not be disappointed. You will really get the royal treatment. Robert and I certainly did. It couldn't be more perfect that had our wedding held at the Saltcote Place. It's a spectacular place to have your wedding. Paul and Alan are the most hospitable hosts you won't ever seen. Thanks for the organisation and the arrangements to help the day went smooth, and also thanks for looked after our guests, they all had a great time and some of them even commented this is the best wedding they ever been to. It was a fabulous and memorable day in our lives, highly recommend it if you still looking for your wedding venue. We were fortunate to stay here on a Sunday evening whilst enjoying a mini break in Rye. Alan and Paul are the ultimate hosts - friendly, ultra professional, and made our stay a total delight. 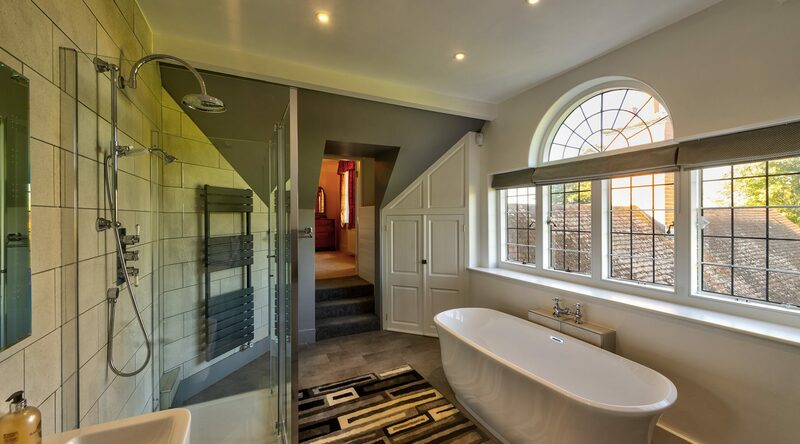 The room was clean, luxurious and quiet, with an ensuite that included a double shower. Breakfast was fantastic! From the table layout to the choice of teas and coffees, from the fresh fruit platter to the sumptuous full English, and with Paul and Alan's company it was the perfect start to the day. We also enjoyed some quiet time in the beautiful gardens, reading and taking in the vista down to the sea. The grounds are wonderful, and the house is too. It looks like a fabulous wedding venue (alas, too late for us!). Recommended without hesitation - you won't regret it. The setting of Saltcote Place is magnificent, even despite a weekend of downpour. Our weekend stay could not have been bettered. The quality of room and service is unsurpassed. Alan and Paul looked after us so well. Five stars. What a great place to stay. Very quiet and relaxing place to stay, a little out of the way but not far from town. We had the larger of the rooms (suite), the bedroom well appointed and roomy, fruit, water, tea/coffee making, chocolates and a night-cap. the suite had its own hallway and separate bathroom with roll-top bath and separate shower. There was another room with bunk-beds too, ideal for somewhere to put your bags and things. On arrival we were met before we got out of the car and welcomed, we were taken to the very big kitchen and dinning room for refreshment and a welcoming chat. Once refreshed we were shown to our suite (our bags already in the room. This was our second visit to Saltcote Place, our first visit was for our wedding anniversary and when I made the booking Paul asked if I could send some of our wedding photo's so that he could put them in room before our arrival, without the wife's knowing, this was a nice surprise for her when we first walked in the room - nice touch Paul. The is an extensive breakfast menu which was all fresh food freshly cooked. We even asked this time for something that was not on the menu and it was not a problem. So all in all breakfast was out of this world. The grounds around Saltcode are extensive with fantastic views, so if you go take your camera or you will wish you had. Its all very private and secluded, private drive and radio operated gates. If you are looking for somewhere different to stay this could be the place for you. You will not be disappointed. It is children fee, therefore only for adults - just the job for a quiet time away and with only to rooms you will not be over crowded either. We have stayed in many B&B's all around the world and this is there with the best of them, in our top 10. Its not your normal B&B and some may say its a bit expensive, but in our view you get what you pay for. Go and spoil yourself. We stayed here for our 25th wedding anniversary - the hotel excels in just so many ways. Definitely the hostest of hosts with superb rooms and total attention to detail. Possibly the best breakfast we have had anywhere. Only negative - we made the mistake of booking through Booking.com who chose to debit the full cost of the booking the moment we booked many weeks before we even arrived at the hotel - I suggest booking direct with Alan and Paul!! We stayed at Saltcote Place with friends, while celebrating our Silver Wedding Anniversary. The welcome we received was unbelievable and the house and gardens are incredibly beautiful. Paul and Alain put their heart and soul into making our anniversary party a day that will be remembered for a long time by friends and family. From start to finish, they were there to guide, help and, at the end of the day, ensure, that everything went smoothly. Our guests from the UK, Ireland, Germany, the Netherlands, the United States, Switzerland and from as far away as Argentina, had the most amazing time and everyone agreed that this is a location that cannot be beaten. If you are planning a wedding, or any other kind of party, look no further, this is where you should hold it. The accommodation was quiet and relaxing, with one of the most comfortable beds I have ever slept in. Breakfasts were delicious and our hosts wonderfully entertaining. Saltcote Place is somewhere very special, a little piece of heaven on earth. It is a short walk (or drive) down into Rye, an ancient town, with quirky shops, picturesque streets, lovely old pubs and some great restaurants. I can wholeheartedly recommend this accommodation and Paul and Alan to anyone planning to visit Rye. These are two people, who really care about what they do. Owners Paul and Allen were the perfect hosts when we stayed here last weekend for my daughter's wedding. Their attention to detail was second to none and made us all feel very welcome in their beautiful home. The wedding went without a hitch thanks to Paul who made sure everything went to plan. Their beautifully kept gardens and lawns makes the perfect setting for a wedding with stunning views. Allen is a scream and cooks the best eggs Benedict. Their home is beautifully kept and could not fault a single thing. Thank you Paul and Allen for the best weekend my wife and I have ever had. What an amazing weekend we had! I was best man at a wedding and stayed Friday and Saturday night. From start to finish we were made to feel welcome by Paul & Alan. The rooms were fantastic, the view stunning and the whole day went by without a hitch! Can't recommend this stunning house enough. Driving down the tree lined avenue to the enormous electric gates which majestically swing open you quickly realise Saltcote Place is a very special venue! From the warm and friendly welcome things just went on to amaze us at every turn. The attention to detail is complete in every respect. If you wish to live like aristocracy for a few days look no further - the rooms and food are second to none. Just a short walk to the centre of Rye Saltcote Place has fantastic distant views over the surrounding countryside and sea. The owners, Alan and Paul looked after us with the utmost care and charm. Our breakfasts were presented to perfection and tasted even better! This truly is the ultimate venue to stay at or for a wedding ceremony. Thank you Paul and Alan for sharing your beautiful home with us for a few days, it will be talked about and remembered for a long time! Myself and my wife had the pleasure of holding our wedding reception at Saltcote Place and staying in the accomadation over the same weekend. Salcote Place is fantastic. The Grounds The gardens of Saltcote Place are blooming throughtout the year and provide a beautiful backdrop for any event or stay. With fantastic views towards the coast it is the perfect picture setting. The Accomadation Beautifully decorated and spacious rooms with excellent amenities and facilities. 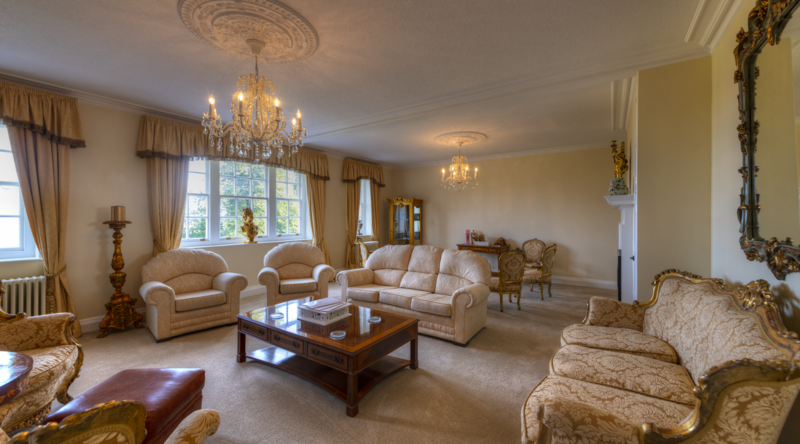 The room all have lovely views and are easily accessible for guests. The Hosts Alan and Paul are extremely hospitable and helpful before, during and after your stay/event. They are both charming and professional and put you at ease from the moment you book. We cannot recommend Saltcote highly enough and will certainly be going back! We stayed in a fantastic place in Rye the views were beautiful the venue was magnificent. It was a private house but the owners were so welcoming and inviting they made everybody feel so welcome and the rooms are out of this world. The house and grounds were so well-kept gardens are beautiful. We will definitely be coming back down one weekend. We have just attended the most amazing,beautiful wedding between Marion and Pete at Saltcote It was the most memorable wedding We have ever been part of. The house is superb and the rooms are beautiful. I couldn't recommend this venue high enough. The owners Paul and Alan are an amazing couple, the service is impeccable, nothing was too much trouble, the attention to detail at the marriage ceremony was outstanding. Everything they done was so personal. I hope we have the occasion to stay with them in the future. If you want a magical, memorable venue for your wedding then Saltcote is the place to choose. Many many thanks to Paul and Alan for a great weekend. A gorgeous property in a beautiful location with stunning views over Rye and towards the coast. We received a very warm welcome from Paul and Alan, for whom nothing was too much trouble. They take particularly good care of the older visitor. Breakfasts were excellent and will keep you going, especially if you have a long wait for the wedding breakfast. Their knowledge of other local businesses is very helpful when organising a large event. Saltcote Place exceeded all our expectations for a wedding venue. We were stunned by the beauty of the location, building and decor, and the kindness and thoughtfulness of our hosts. 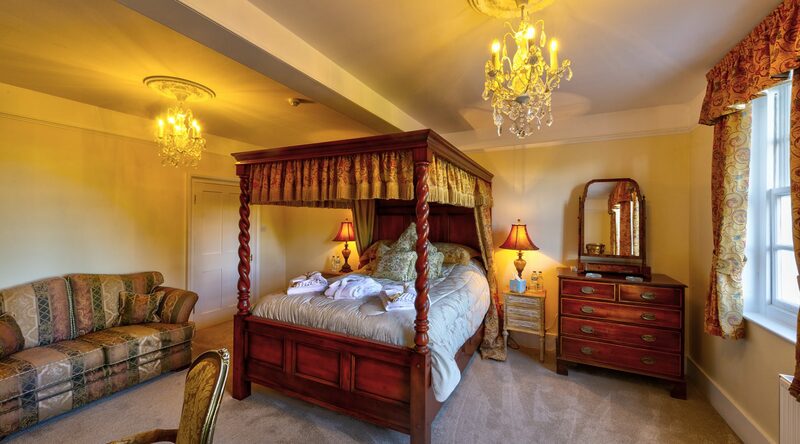 Our room had a luxuriously comfortable four-poster bed and huge en suite bathroom. 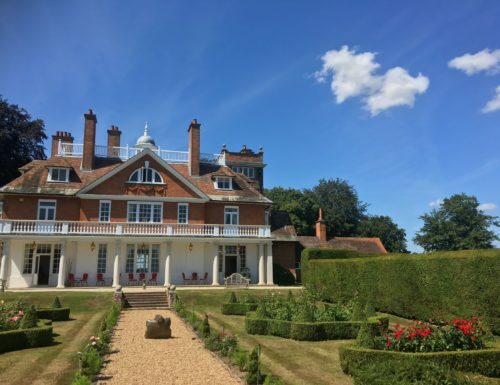 The whole house and grounds were beautifully maintained to the highest standards, but what impressed me most was the helpfulness and expertise of Paul and Alan our hosts. We stayed at Saltcote place as part of a wedding party and it was just perfect. The house is exquisitely decorated and the gardens were immaculate. Paul and Alan were fantastic hosts catering to your every need from safety pins for frocks to the best post wedding breakfast in the stunning kitchen! Would definitely recommend for your next celebration! We had the privilege of having our wedding here last month. Paul and Alan who own Saltcote place made it such a magical day for all of us. We had originally planned to get wed in 2019. But with the awful news that John's mum only had a short time to live i had to do everything i could to make this wedding happen. When I first contacted Paul at Saltcote, I hadn't even finished explaining our situation, he just said yes. Yes we will help you. Yes we will make this happen for you... and they did, in less than 5 weeks we had organised our wedding. They had plans to have work carried out on their home but canceled thousands of pounds worth of work for us!.. and their selflessness is something I will never forget. The fact that they wanted to help us and to make our dreams come true! Unfortunately 3 days before the wedding John's mum passed away. This made everything extremely difficult for all of us. Paul and Alan were there every step of the way and supported every decision we made. Paul and Alan, I owe you so much. Your kindness is like no other. Your passion and emotion about your home and making sure we had our dream wedding was amazing. I know we have made a true friendship with these two wonderful gentlemen. I would highly recommend Saltcote place to anyone! They are amazing! We have just spent the most amazing weekend at Saltcote Place at my sons wedding. The accommodation was fantastic, the food amazing and the location is so beautiful. The owners Paul and Alan are the nicest most helpful people you could ever meet. Nothing is too much trouble, they made the day so very special for us all. It has been such a privilege to spend time at wonderful Saltcote Place. The moment we met Paul and Alan I knew this is where we need to get married. Paul sat and listened to us. He spoke about what Saltcote can provide, and I can assure you it’s 1st class. The attention to detail is extreme, they really cared about our wedding day and made the whole event so special. I can’t thank them enough for making my wedding weekend nothing short of perfect. To say I am lucky to have found Saltcote is an understatement. Pete and I became husband and wife ( Mr & Mrs Munro) at Saltcote Place, the most magical Wedding weekend any bride could dream of , made extra special by two very amazing people Paul and Alan. They welcomed us into their home and treated all the family like royalty, nothing was to much trouble. The accommodation wonderful, the food was served with love and so much care, the attention to detail second to none. I’m still floating on cloud nine.......... Paul and Alan made our day perfect, we became good friends and I have so many wonderful memories of our weekend. Thank you both so much. We recently held our wedding at Saltcote Place. Throughout the planning stages, Alan and Paul could not have been more flexible and attentive; emails were responded to within a couple of hours and all requests/questions addressed. It could not have been easier; their relationship with all of our suppliers was superb and their knowledge of the local area is outstanding. The weekend itself was perfect; the house is stunning and the recent refurbishment has been completed to a fantastic standard. All of the rooms are extremely comfortable (even in the extreme heat!). Breakfasts are amazing, cooked fresh by Alan and served in their stunning kitchen. All of our guests on the day were made to feel very welcome. Alan and Paul do everything they can to make your stay as personal as possible and ensure all of the guests are comfortable and relaxed; with both around any hiccups were resolved so quickly. A beautiful venue with excellent service, I could not recommend Saltcote Place enough. I was lucky enough to be part of the bridal party at my sister's wedding last weekend, with the reception held at Saltcote Place. From the moment of our arrival on the Friday, we were made to feel incredibly welcome, with nothing too much bother for our wonderful hosts, Paul and Alan. I was particularly grateful for how well they looked after my elderly grandmother, who has not stopped telling me how kind they both were to her. 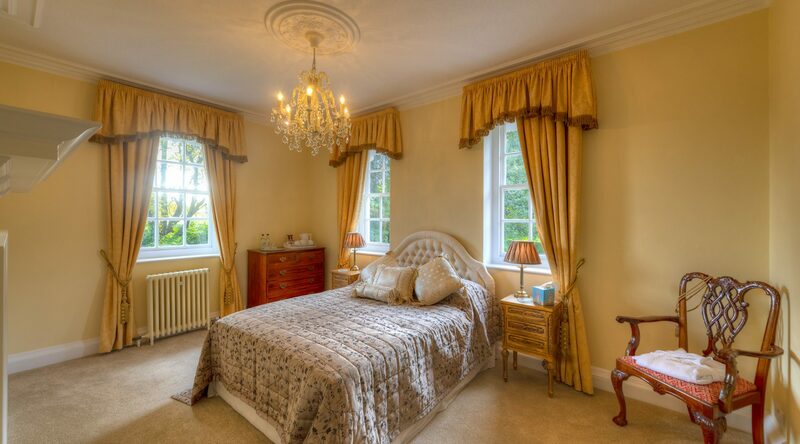 The bedrooms were immaculate, views of the gardens stunning, and every detail was catered for. The eggs royale on the day of the wedding was one of the best I've ever had, and the Full English the day after was much needed and cooked to perfection! My only complaint is that Alan and Paul were such fun that I stayed up much too late having a drink or three with them and was not feeling too fresh the next day! We all look forward to coming back to stay again one day. Thank you again! A celebration of Life; I think I will repeat this exercise every year that I have left, great fun and really enjoyable celebration, loved the gardens. "Sam and I are slowly coming round from our big day but wow thank you both so much for making it so special. It really was so amazing I can't thank you and Alan enough!" Loved the whole process from initial enquiry to the best day of our lives Saltcote was perfect and provided the privacy we wanted.